MegaLED offers customers high quality, affordable and practical printed circuit board design solutions. Our engineers are experts in rapid yet reliable designs of printed circuit boards (PCB’s). 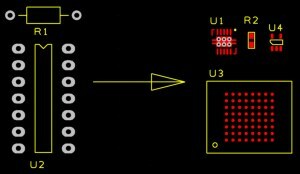 With our LED lighting knowledge and board designs we are able to offer a unique printed circuit board design service to the industry. We cover many applications going beyond LED lighting where required. More examples of: custom design led printed circuit boards are here. 1. PCB design capability from the simplest single-sided board to 6+ layers. 2. 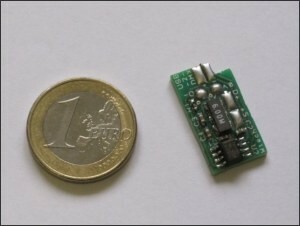 From conventional through-hole components to fine pitch lead-less surface mount devices. 3. Printed circuit boards – designs smaller than a matchbox to others up to 1000 x 1000mm. 6. Particular experience in PCB designs for switch-mode power supplies, medical electronics and LED boards amongst other things ‘electrical’. For fast printed circuit boards MegLED’s deliver a super PCB design service. Simple linear led bars onto FR4 or Metal Core PCB’s can typically be designed in 24–48 hours. Totally custom OEM, customer-specified LED controllers can be designed and produced from our proven light control ‘building blocks’ in just 3 weeks. Custom BLU’s (Back lighting Units) like matrix-grid circuits and shaped ‘Sign-LED’ printed circuit boards for sign letters designed, tooled and delivered ready to install in as little as 4 weeks. Custom power supplies for the most demanding applications including medical can be realised in time-frames much shorter than the norm. NEW: Specialist LED lighting printed circuit board engineering services. OEM LED controllers designed: DMX, 0-10V, stand alone, etc. Rapid design of shaped light engines. Rapid programming of embedded firmware and programming of specific light control chips for stand alone products. Our LED–PCB customer base includes those in a variety of industries such as automation, architectural, retail, medical, exhibition, manufacturing and display lighting sectors. Our customers are those who generally seek out the need for reliable custom solutions with printed circuit board electronics designed (or software programmed) to meet their exact needs. Retailers, architects, signmakers, light designers, display lighting and industrial designers also often turn to MegaLED to get something ‘electronic’ designed for their particular applications. 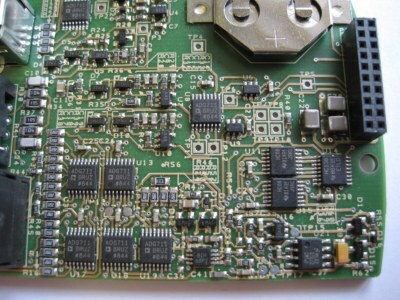 MegaLED provides a fast and friendly turnaround with its printed circuit board design services. We have cool pricing and a few original and cost-effective services for designing and producing printed circuit boards. We cover customers and offer you a full array of custom electronics and custom-made LED lighting products. All MegaLED engineers know their tracks. Our PCB design team includes senior engineer graduates in electronics from leading universities. We offer many years of practical experience in designing all types of electronics and LED solutions. Notably, we’ve serviced customers from the most demanding medical electronics sectors for many years and actually designed our first LED controller way back in 1993! Every project is different so we invite you to specify your requirements as concisely as possible via email or by filling in your printed circuit board requirements on our Enquiry Form making sure to include relevant details including a contact telephone number. We will then get in touch and work together with you to get the specifications agreed. Once all the basic detail is covered we then simply quote the time involved for your design and can also cover some production options. From full production of assembled printed circuit boards MegaLED also covers customers for prototyping and supply of finished fully assembled PCB’s. We have two dedicated pick and place plants in Europe. Our main factory in Italy features the latest equipment including reflow soldering, PCB conveyer ovens, LED-bake-in ovens and four pick and place machines. This combined capacity gives MegaLED a unique production capability allowing us to place 25,000+ SMD components per hour. No electronics or LED assembly job is likely to challenge MegaLED to deliver on time providing delivery times are realistic of course. MegaLED prices are very competitive and our service and solutions are varied and flexible. So why not give us a try? We think you’ll be pleasantly surprised by our complete PCB design and production service. Have a PCB design project?